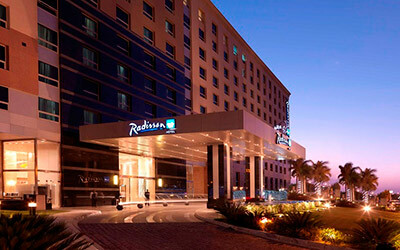 Only three kilometers from the airport and surrounded by the upscale Heliopolis neighborhood, the Radisson Blu is one of the most convenient hotels in Cairo for both business and leisure travelers. Take a shuttle straight from the airport and settle into a modern, elegant room complete with touches such as Free high-speed, wireless Internet, provisions for coffee and tea, and nightly turndown service. 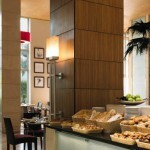 Experience authentic Italian, Asian and Lebanese cuisine at the on-site restaurants. 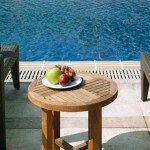 Unwind with a trip to the spa or a swim in the rooftop pool after a day of exploring the city. For business travelers, the hotel also offers 8 spacious meeting rooms and a grand ballroom that can be tailored for special events and conferences. 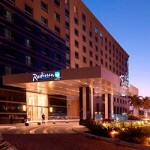 The Radisson Blu stands out among hotels in Cairo for its abundance of amenities and commitment to service. Located near the airport as well as the bus, metro, and train station, the Radisson Blu Hotel, Cairo Heliopolis provides the perfect starting point for traveling throughout the city. Choose from a range of rooms and suites with features such as access to the fitness center, daily newspaper, coffee and tea, mini bar, turndown service and Free high-speed, wireless Internet. Sample classic Italian dishes at Filini and an eclectic variety of Asian and Lebanese dishes at MIX to experience world cuisine without leaving the hotel. When it’s time to relax, gather with friends and colleagues at the 1122 Bar, situated in the sunlit atrium of the hotel’s stylish lobby. 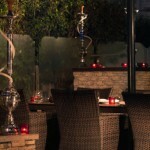 Grab a cocktail or fruit juice from the 1122 Cafe, which also offers shisha and live entertainment during weekends. Gaze down at the city while swimming in the clear, sunlit rooftop pool, then walk a few steps to Terrace on 9 to enjoy a drink while overlooking the water. Relax at the spa complete with sauna, steam room and Jacuzzi. 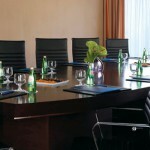 Hold meetings and events in style with 8 spacious meeting rooms that can be tailored for a variety of group sizes.